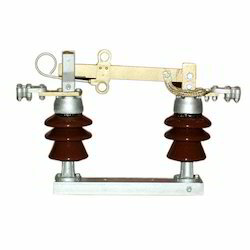 Pioneers in the industry, we offer disconnecting switch 11kv from India. We are offering a wide range of Disconnecting Switch 11KV.The offered switch is availed in different sizes and other related specifications to meet the variegated expectations of our valuable customer. Our provided switch is rigorously tested by the team of our professionals. Furthermore, our clients can avail this switch from us at market leading price.